Are you interested in vehicle wraps for your business? Maybe you’ve seen some of the latest wrapped vehicles on the road and wondered what kind of company helped design them. At Apple Graphics, we help all of our customers find unique and affordable ways to increase their brand awareness. With a fully customized vehicle wrap, you’ll increase your chances of being noticed and bring more potential customers to your business. Apple Graphics also provides a full line of party graphics, as well. 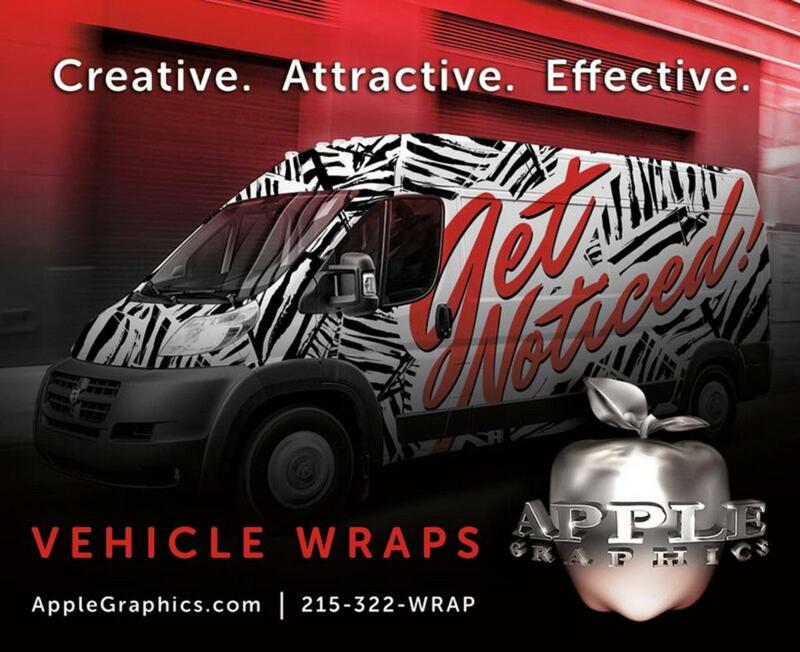 As the leading vehicle wrap company in Bucks County, Apple Graphics helps companies get noticed. We take pride in offering business owners innovative solutions to build up their marketing strategies. Vehicle wraps are time-tested solutions to helping your business stand out among the competition. Our custom wraps will help you get noticed every time you drive your car. Whether you opt for a completely customized design or whether you already have a particular image that you want to convey, we can help you find the right wrap that suits your needs. Whatever your branding needs are, our team has the ability to help. Apple Graphics offers vehicle wraps for the following: cars, box trucks, vans, buses, trailers and SUVs. Our team knows how to provide the attention to detail that’s required to create a lasting and functional design. Vehicle wraps from Apple Graphics are also affordable. Our wraps always complement your brand and help you gain the marketing leverage that needs to get noticed in a sea of competition.